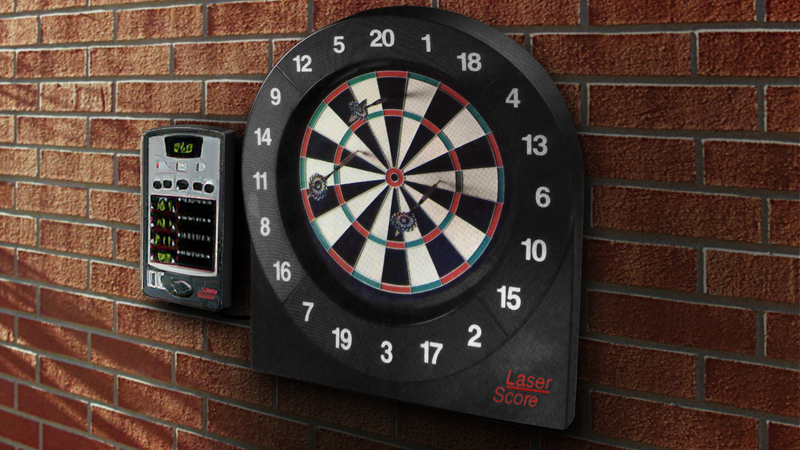 The Laser Score is the first dartboard to provide electronic scoring while allowing for use of steel tip darts. It pinpoints the dart locations by means of an optical array which rotates around the perimeter of the board. Phase One Design engineered the drive system for the optical array and designed the structural foam housing as well as the remote set up and scoring module.